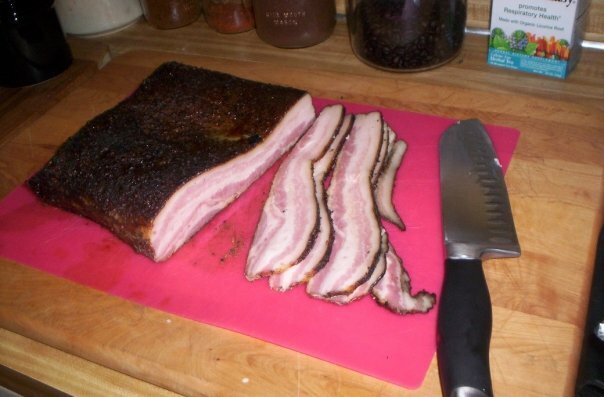 Delicious Homemade Bacon by Rose Nunez Smith | Eat Meat. Drink Water. 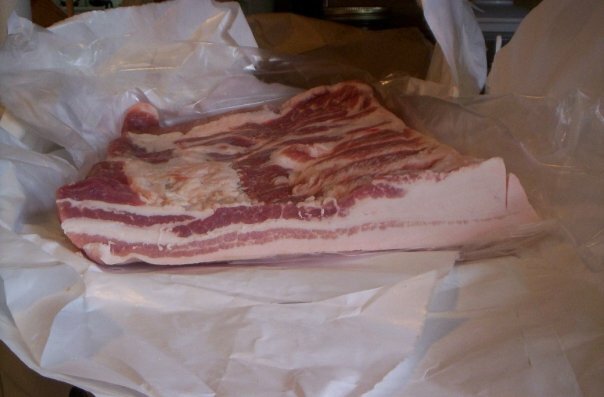 This recipe and step-by-step process for making your own delicious bacon at home comes from long-time Zero Carb practitioner Rose Nunez Smith. 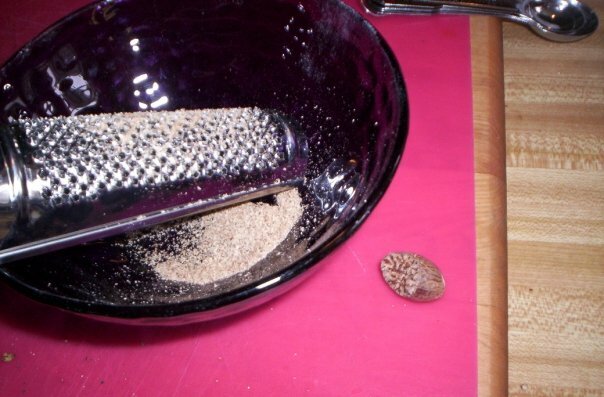 STEP ONE: Grate fresh nutmeg for the spice rub mixture. STEP THREE: The meat! The meat! Ten pounds of pork belly. 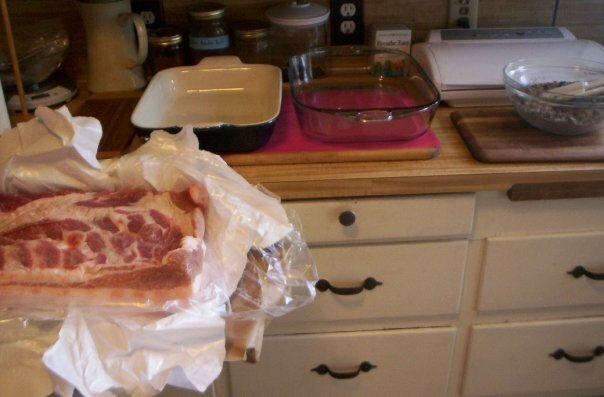 STEP FOUR: Preparing to divide the pork belly into two sections to fit into my glass baking pans. 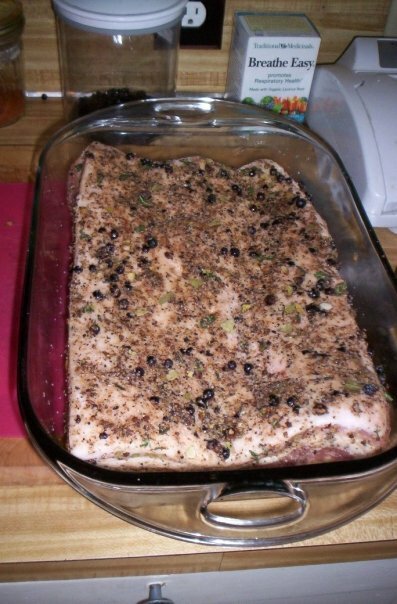 STEP FIVE: Rub the spice mixture thoroughly into the pork belly before placing into the glass pans. 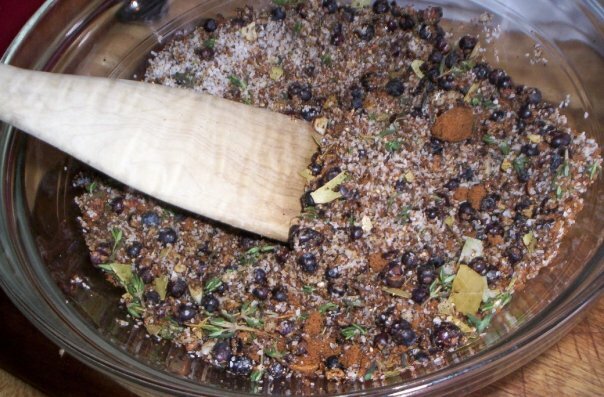 This one still has a little ways left to go — you want the whole thing to be covered with the spice & salt mixture. STEP SIX: Wrap the rubbed pork in plastic bags to keep it soaking in the brine that will form as it marinates in the spice & salt mixture. I allow it to marinate like this in the refrigerator for a good week, turning it over every other day. 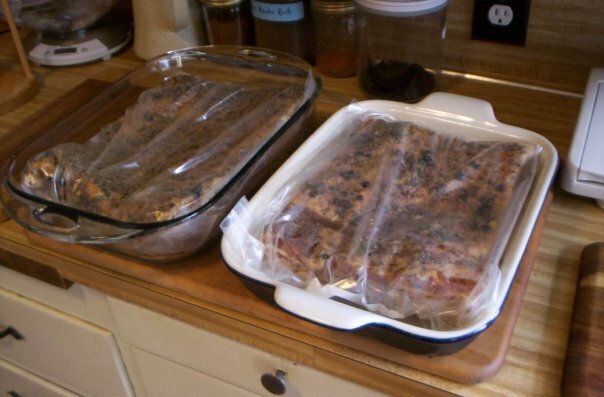 STEP SEVEN: Once the marination is complete, I rinse the spice & salt mixture off the pork belly and let it dry out in the refrigerator for a day or two. Then, I have my husband smoke it to perfection! 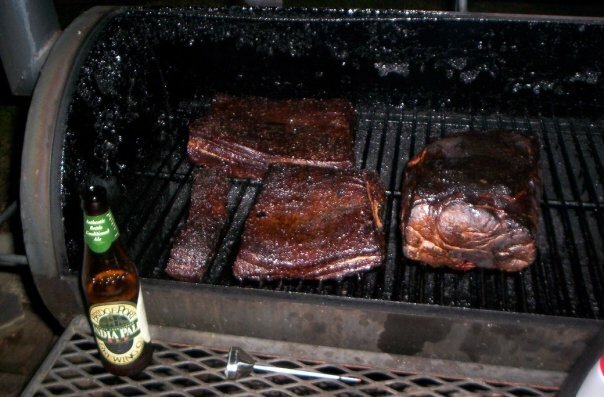 It is smoked at a low temperature for 2-4 hours, or until it reaches an internal temperature of 150 degrees. STEP EIGHT: Slice up the finished product as needed. STEP NINE: Eat it for breakfast or any other time you feel like it. 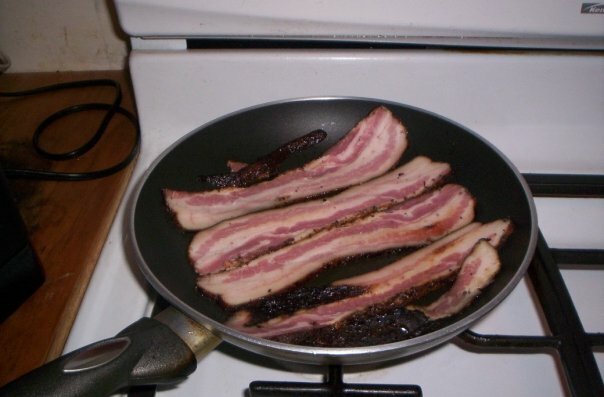 This entry was posted in Recipes and tagged Bacon, Diet, Fat, High Fat, Keto, Keto-Adapted, Ketogenic Diet, Ketosis, LCHF, Low Carb, Meat, Nutritional Ketosis, Paleo, Paleolithic, pork belly, Primal, Recipes, Weight Loss, Zero Carb, Zero Carb Recipes by esmeelafleur. Bookmark the permalink.